Can Prilosec Cause Stomach Cancer? Many physicians believe that long-term use of proton-pump inhibitors (PPIs) like Prevacid (lansoprazole) and Prilosec (omeprazole) for gastroesophageal reflux disease (heartburn) can exacerbate atrophic gastritis in the body (i.e., corpus) of the stomach—especially in people with H. pylori infection. Of note, infection with H. pylori can lead to stomach ulcers and even stomach cancer. In addition to interfering with absorption, chronic atrophic gastritis likely serves as a premalignant or precancerous lesion which predisposes a person to stomach cancer (i.e., adenocarcinoma). Assuming that long-term use of medications like Prevacid and Prilosec does, in fact, lead to atrophic gastritis in people with H. pylori infection, and thus increases the risk for stomach cancer what would be the mechanism of such exacerbation? Chronic atrophic gastritis is long-term inflammation of the stomach lining. It happens more frequently in older people but can happen in younger people, too. In many people, H. pylori, a bacteria that also causes ulcers, cause atrophic gastritis, too. Other causes of atrophic gastritis include autoimmune disease like pernicious anemia, hypersecretion (increased gastric acid secretion), and environment. Chronic atrophic gastritis leads to the extensive destruction of parietal and chief cells which produce gastric acid and gastric enzymes, respectively. Gastric acid and gastric enzymes are needed for digestion. When enough of these cells are lost, digestion-related complications arise including cobalamin deficiency (vitamin B12), iron-deficiency anemia and infections caused by the food we eat. Vitamin B12 deficiency is the most serious of these problems and can cause neurological problems in those with pernicious anemia or autoimmune disease. In people who take PPIs for too long, cobalamin deficiency is rare; however, susceptibility to bacterial infection increases. Of note, gastric acid kills bacteria in our food, and when there's less gastric acid because of PPIs, bacteria remain virulent and can more easily infect. Chronic atrophic gastritis is most worrisome because it predisposes a person to gastric cancer which is deadly and carries a poor prognosis. PPIs like Prevacid and Prilosec work by inhibiting the production of gastric acid. Gastroesophageal reflux disease (GERD or "acid reflux") occurs when the lower esophageal sphincter fails to shut properly, and gastric acid from the stomach seeps into the esophagus causing the sensation of heartburn. With less gastric acid, this sensation of heartburn abates. When levels of gastric acid decrease, bile acids become more soluble. 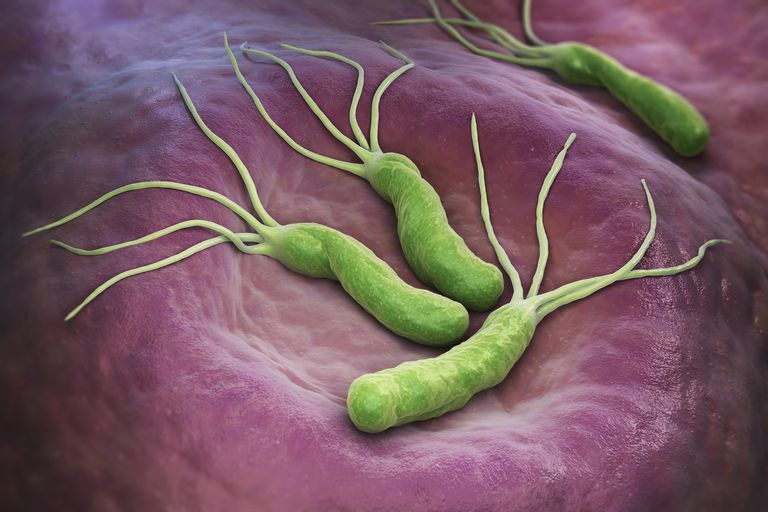 Bile acids are chemorepellant, and in the distal or lower portion of the stomach (closer to the small intestine), the increased concentration of soluble bile acids makes the environment inhospitable for the growth of atrophic-gastritis-causing H. pylori. However, proximally or higher up in the body of the stomach, PPIs make conditions ideal for the growth of H. pylori. Specifically, an optimal gradient forms between soluble bile and human plasma cells, which are chemoattractive; thus, H. pylori colonization shifts to the epithelial cell layer upstream. In other words, according to this proposed mechanism, the long-term use of PPIs interfere with the chemical environment of the stomach making the body of the stomach an ideal home for H. pylori bacteria. This H. pylori bacteria then causes atrophic gastritis which in turn predisposes a person to the development of stomach cancer. Medications like Prevacid and Prilosec are readily available over-the-counter, and many people tend to self-medicate. Although PPIs are generally safe and most effective at treating GERD, if this proposed H. pylori-mediated atrophic gastritis mechanism were true, then it would probably a good idea for you to consult with a physician before taking PPIs for a long period. More specifically, your physician will likely want to test you for H. pylori infection and treat you for such infection (i.e., triple therapy) before placing you on long-term PPI therapy. Now, let's throw a monkey wrench into this explanation. In a 2014 Cochrane review, researchers pooled data from seven randomized-control trials (1789 research participants) and figured that PPIs did not increase the risk of atrophic gastritis even in those with H. pylori infection. If PPIs don't increase the risk of atrophic gastritis, then there would be no significant precancerous lesion that could later set the stage for stomach cancer. Ultimately, if you or someone you love has severe heartburn that persists, despite all we've postulated so far, it's definitely a good idea to see a physician. Let your physician decide whether to put you on long-term PPI therapy. (Feel free, however, to ask about H. pylori testing and treatment.) Just because a drug is readily available over-the-counter doesn't mean that you should take it without consulting a physician especially for long periods of time. Barrett KE. Chapter 3. Gastric Secretion. In: Barrett KE. eds. Gastrointestinal Physiology, 2e. New York, NY: McGraw-Hill; 2014. Kitagawa Y, Dempsey DT. Stomach. In: Brunicardi F, Andersen DK, Billiar TR, Dunn DL, Hunter JG, Matthews JB, Pollock RE. eds. Schwartz's Principles of Surgery, 10e. New York, NY: McGraw-Hill; 2014. Song, H, Zhu, J, Lu, D. Long-term proton pump inhibitor (PPI) use and the development of gastric pre-malignant lesions. The Cochrane Database of Systematic Reviews. 2014.